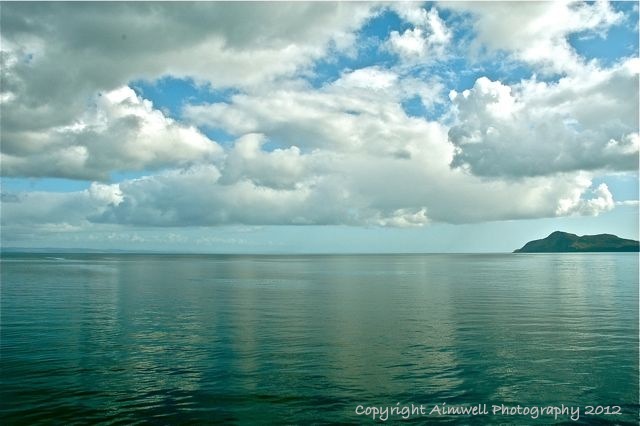 Weekly Photo Challenge: Up … Enjoy the View! 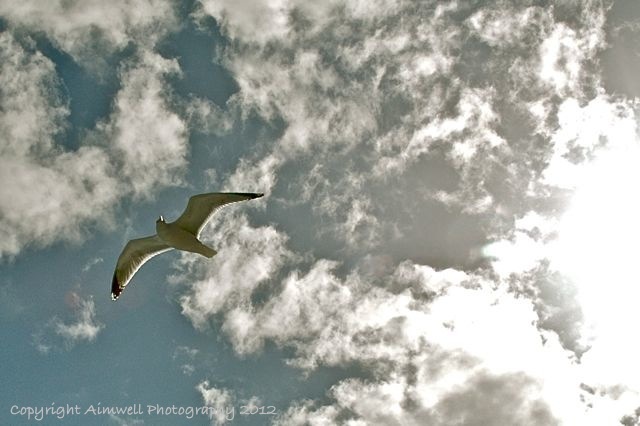 Thanks to this week’s photo challenge we get to look up. I love to look up and have made a habit of doing so whenever and wherever we travel. There’s so much to see, don’t you agree? 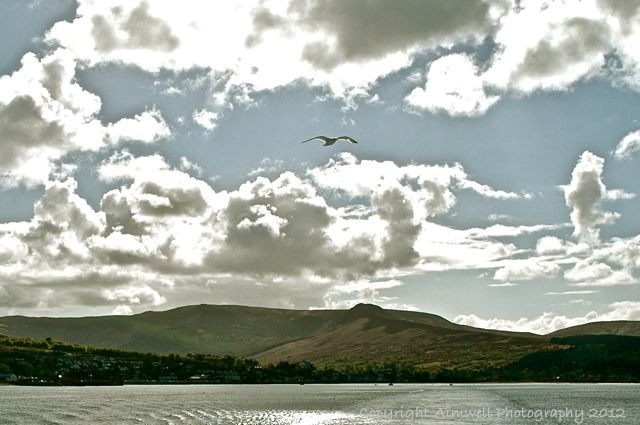 A seagull escorted our ferry from Brodick on the Isle of Arran to Ardrossan on the Scottish mainland. 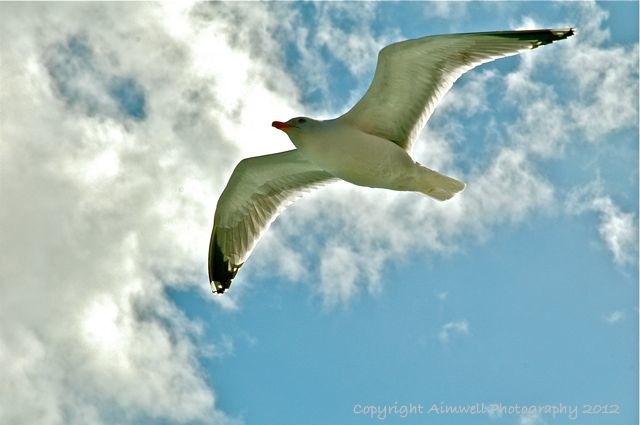 He swooped and soared in great swirling circles above and skimmed the gushing wake below. 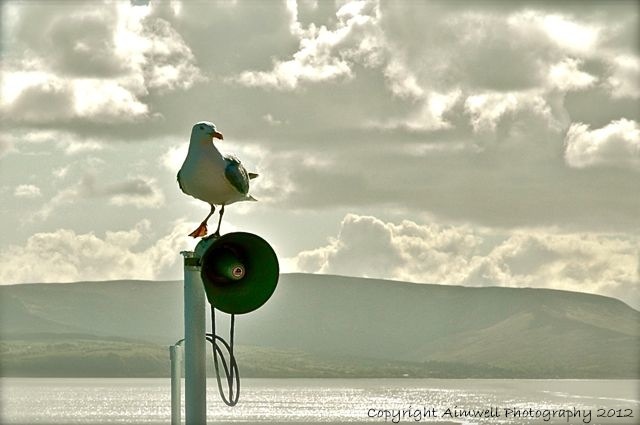 He teased and taunted with his shrilling cries, all the while lusting with beady eyes after crumbs of bread or potato chip morsels carelessly discarded by lazy tourists. His comfortable proximity to the huge vessel made him wonderful fodder for the camera lens, so I followed his free-spirited meanderings and captured as many moments as I could. This image is one of my favourites. 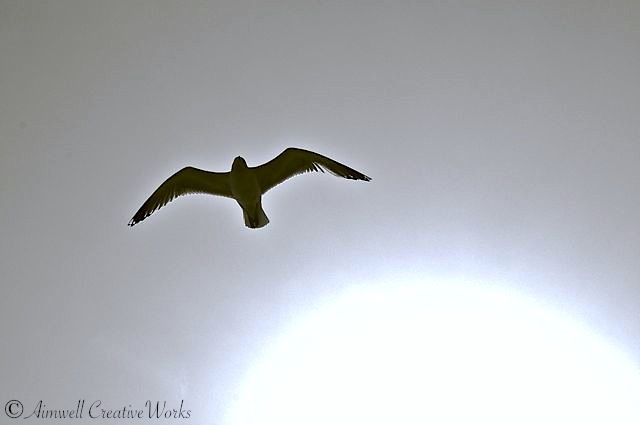 I love how the seagull’s wings are burnished with light, reminding me of the story of Icarus, but without the tragic ending. 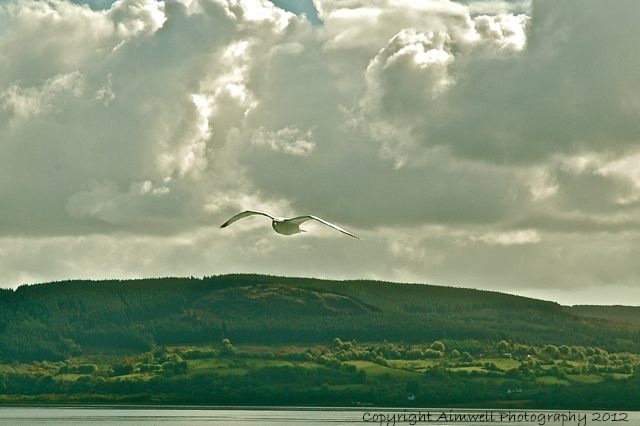 The seagull soars. I dream of soaring. He is a free spirit. In my heart I too am free. Today started on a very dark note — a serious family emergency that totally caught me off guard. After a night of no sleep and wondering where the silver lining is to all this turmoil, I feel utterly exhausted. My eyes and heart are heavy; my focus almost non-existent. 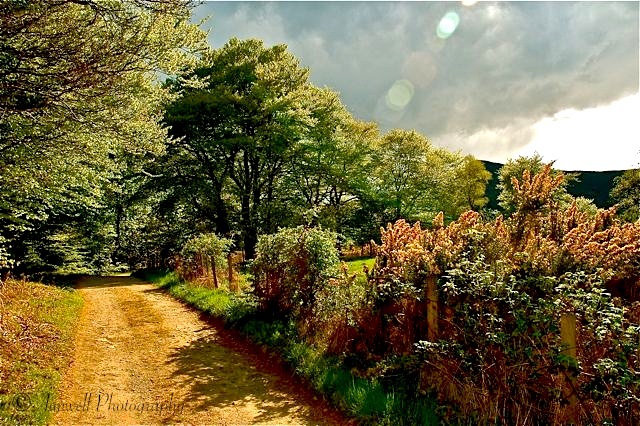 This image, taken a couple of years ago while walking along a dusty lane near Broddick on the Isle of Arran, reminds me of what happens when the clouds part — the light is even brighter than before the clouds appeared. Have you ever noticed that? The clouds separate and the light bursts with seemingly renewed energy? That’s what I’m hoping for those touched by this crisis – that they emerge from the shadow of this experience renewed and re-energized to embrace a new light; a new beginning. 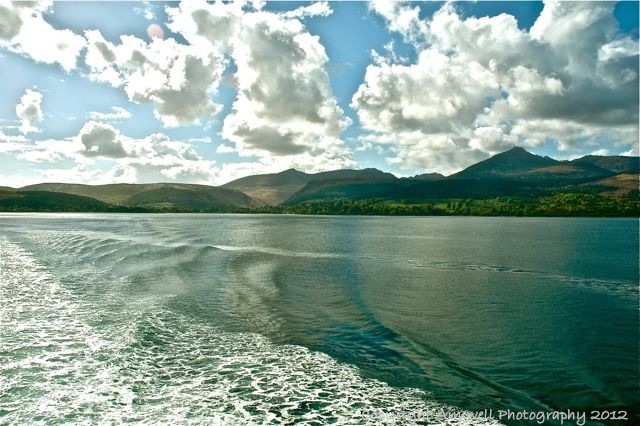 By car, you can travel the circumference of the Isle of Arran in less than a day — with the odd stop along the way. Take in a brewery; have lunch at a distillery; visit a castle; walk barefoot on a sandy beach; skip stones on a rocky beach; say hi to the sheep that dot the hill sides … and yes, enjoy the view. 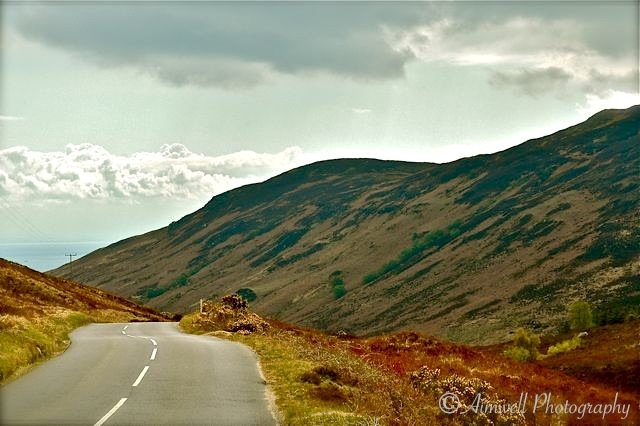 The A841 skirts the shores and, as in this image, traverses the colour-infused highlands. It’s a sight, to be sure.